If you’ve ever lost something important to you, you know that absolutely gut-wrenching feeling of not knowing where it is or if you’ll ever see it again. We’re a team of people who take pride in taking care of you –so we lost our phones so you don’t have to. 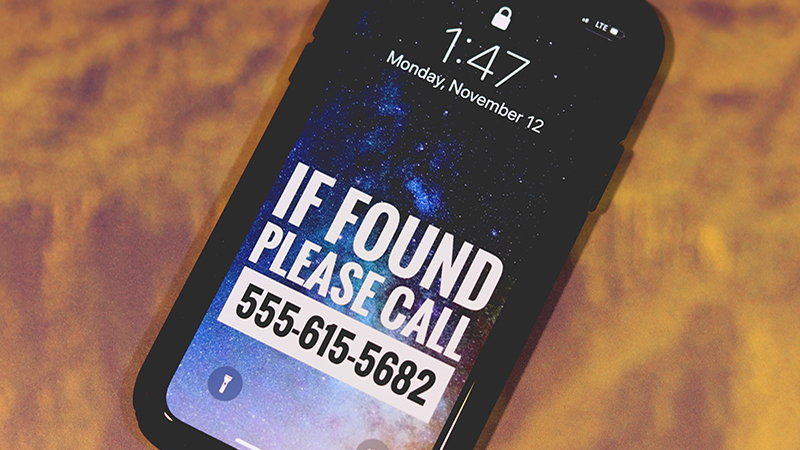 In a recent experiment, Asurion purposefully “lost” smartphones in three major cities across the U.S. to test the likelihood of them being returned. Jeff Rossen, a Today show investigative reporter, recently recreated our experiment for a segment on the morning show. Basically, we discovered that while it’s great that so many lock their phones for security (71%, in fact), this makes it more difficult for someone to return your phone. 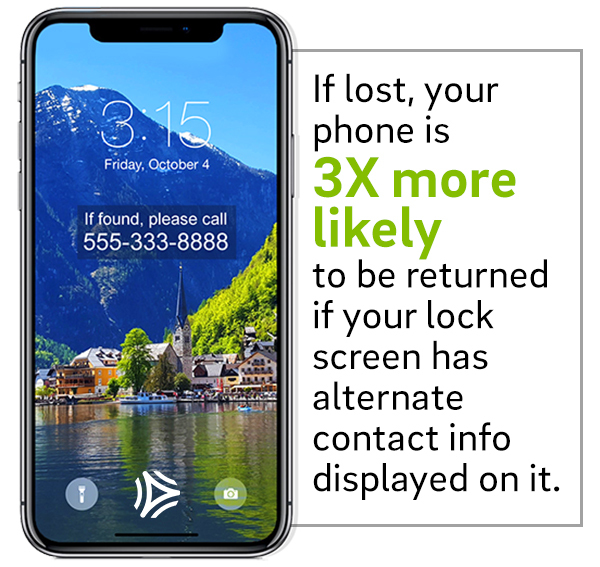 In our study, we saw that displaying alternate contact info on the lock screen meant that your phone was 3x more likely to be returned by a good Samaritan; however, fewer than 1 in 4 actually add this extra layer of protection. The simplest way to do this is to place a text label on any photo in your device’s gallery using the photo edit features and include an alternate phone number or email address (you can also use a photo editing app like Snapseed). Then, set that image as the wallpaper on your lock screen. In iOS, choose the image from your gallery. Tap the Up arrow, select “Use as wallpaper” and then choose lock screen. In Android, pick the photo from your gallery. Click the three dots in the top right corner of the image and select “Set as wallpaper” and choose lock screen. Choose Lock Screen and Security, then Clock and Face Widgets. Enter desired alternate contact info and select Where to show. Then click Done. Enable Find My iPhone or similar service: Many people assume this is automatically activated with every phone, but it needs to be manually turned on in your phone settings. For iPhone, go to Settings, tap your name at the top of the Settings list, then tap iCloud, and look for Find My iPhone to confirm it’s on. Set “Send Last Location” to ON. This will automatically send the phone’s location to iCloud any time that the iPhone’s battery is critically low. For Android, download an app from the Play store, such as the Google app Find My Device. Then just follow the set up directions once downloaded. Don’t assume the worst: Many people don’t call the establishment where they accidentally lost or left their phones, thinking there’s little chance of getting them back. During Asurion’s experiment, we heard from many organizations that had drawers full of lost phones waiting for owners to reclaim them.